My first winter in Finland, spouse and I went on treks through the woods and over ponds. He was on old skiis that gripped on to the back of boots with a groove in them and I went on snow shoes. Dog frequently followed behind, confused that she couldn't walk on top of the now like us. It was delightful to watch her bound along. I wanted to try the skiis but my shoes didn't work. Last year I spent some time working at a recyling free-store where I picked up some skiing shoes with a bar that would clip into the front of cross country skiis. Then I found out that the clips are not universal, but luckily we found a pair of skiis that would work with them and be an appropriate size for me (like a surprising number of useful things, I think they came with the house). So I finally went cross-country skiing around the yard today. Spouse tried to teach me the ropes. I slid backwards down gentle slopes. I fell over and took an embarrassingly long time getting up. I'm pretty sure my kid did better than me when he started at the age of 3 last winter. I've noticed that I answer spacebot's sports questions in a very predictable way and this is no different. I'm terrible at cross-country skiing, but it was a lot of fun. What are you terrible at, yet still enjoy? I don't have a good answer. I've thought about this for 20 minutes. The closest I've come is SimCity. Any of them. I am able to build a competent town, but I always manage to mess it up. I end up with abandoned houses, a budget that's out of wack, traffic issues, trash piling up everywhere, low value areas. 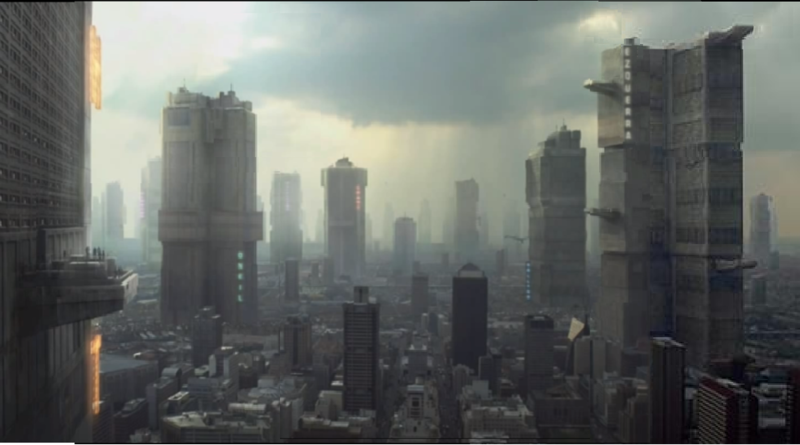 I can build one kind of city that technically has a profitable budget - MegaCity One. No small farming communities, no big school towns - it's either sprawl with high crime and traffic or bankruptcy. That's so funny just yesterday I was trying to convince my husband that cross country skiing is fun and we should do it. He was unconvinced. When I was a kid my whole family had those clip on the front of duck bill shoes style (bought at garage sales I'm fairly sure). My city has a fair amount of woodsy nature areas and we would sometimes go to those parks on the weekend and ski around. It was common enough that there was always a track to follow which is helpful when being a kid trying to turn right after a hill. This is I guess off topic though because I enjoy it and am medium at it. I really enjoy dancing and singing and am fairly bad at both. I do not let it stop me at weddings or at karaoke. I will dance the night away at any opportunity. I don't know if I'm terrible at them or just hypercritical of my attempts, but engineering puzzle games (SpaceChem, the sequence, etc) keep drawing me back in. They're hard so it's probably okay to feel stupid at times. I just get the sense that I'm slow at logic puzzles. i would have to say basketball. Im about 5'10, slim build, dreadlocks. So I look like I can play. Wrong haha. I mostly play defense which I'm pretty good at but, when it comes to dribbling not so much. I can shoot on some days. All in all if you cant dribble well you wind up passing a lot. Getting older now so thats pretty much where my game stands. I still find the game fun as long as no one is too serious. Video games. I really just want to replay Ocarina of Time over and over again. But then I tried the master quest and got really frustrated that it wasn't the same (you know, the whole point). Ironically I think people would also be shocked to know that I'm not very good at reading. I love it, do it a lot but if I were to read outloud my pronunciation of words would be horrific. Oh yes this! Theoretically video games feel like something I should enjoy so I keep trying to get into them but because I didn't have a system as a kid I've never mastered the thumbstick and inevitably I am defeated by something which isn't supposed to be a very difficult challenge (those damn wolves in Tomb Raider..). ahahaha that's why I don't like video games! I also never had a system as a kid so the hand-eye coordination never became intuitive to me and I just get more frustration than enjoyment out of most of them. I'll play mario kart like once a year, lose terribly, and then I'm done. I'm not sure I have an actual answer to this question...maybe like, non-swing social dance? I'm not very good at salsa, bachata, etc but I can kind of fake-follow well enough to enjoy myself. But mostly I don't enjoy being terrible at things! I probably need more grit or whatever. Usually, I am not interested in things I don't feel competent doing. I'm the youngest of my siblings, so for a long time, there was no chance that I could be better than them at anything, not that I understood that, and not that I wasn't mocked for it. But with sports, my brother would always have me on his team, or give me fair handicaps that didn't make me feel inadequate. Despite him taking things more seriously, he always made it fun. I can't think of anything in another category that I enjoy doing if I'm not any good.